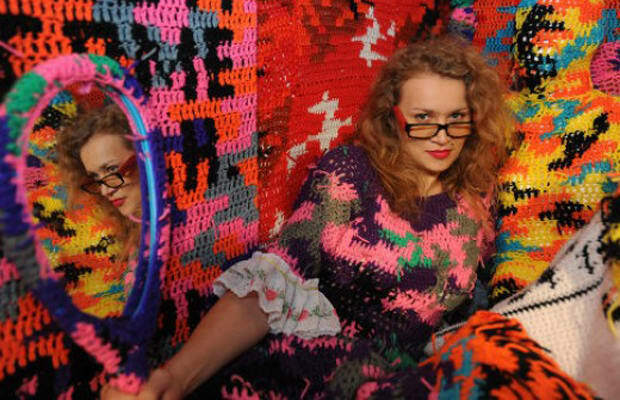 Olek's yarn bombing continues to thrill us in 2011. Her solo exhibition at Jonathan LeVine was amazing. And, just when we thought that making a sweater for the Wall Street Bull was the biggest she could go, Olek got busy at Cooper Hewitt (Astor Place). She's the leader of street fiber arts, no doubt.